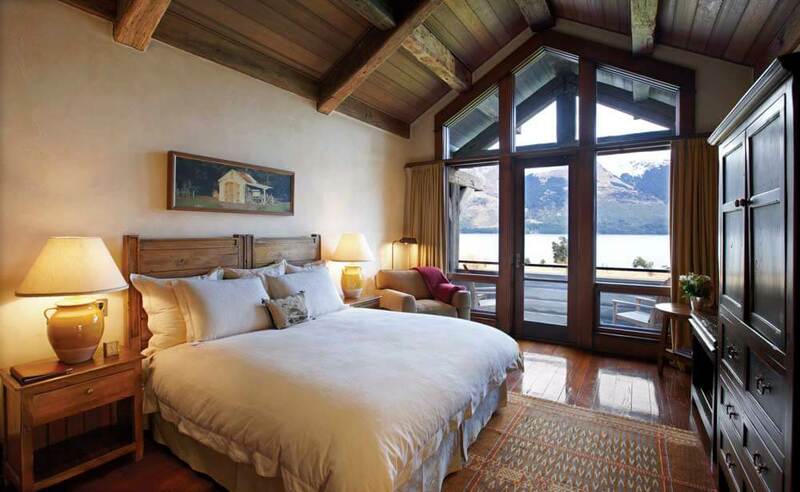 BlanketBay is a luxury five-star lodge acknowledged as one of the best in New Zealand. 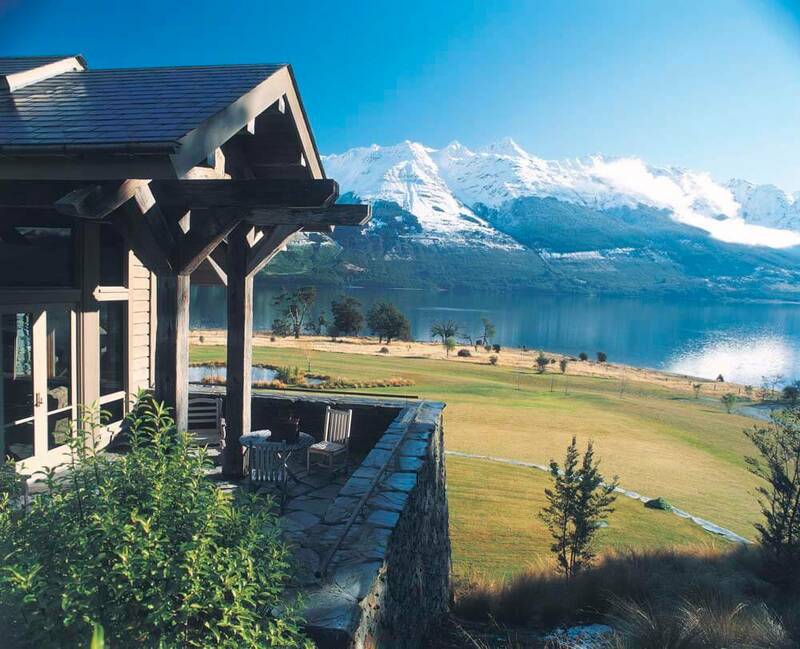 The lodge sits at the north end of LakeWakatipu, against a backdrop of New Zealand's finest scenery, 45 minutes from the resort town of Queenstown. 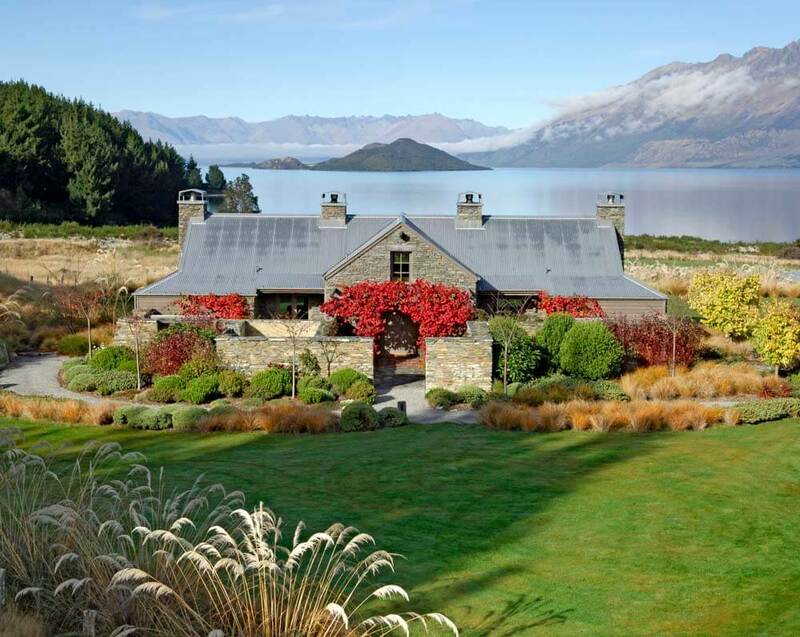 Built in the grand style of the finest alpine lodges and finished with native timber and stone, the lodge is a sanctuary of comfort. 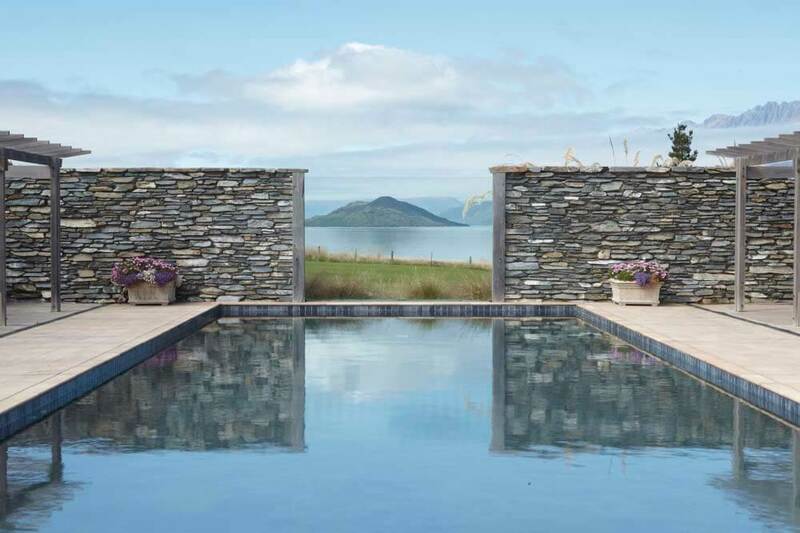 Facilities include an intimate den where pre-dinner drinks are served and an elaborate spa comprising a gym, Jacuzzi, steam rooms, a beauty therapy suite and a heated outdoor lap pool. Accommodation is provided in five intimate Lodge Rooms, three generous Lodge Suites and four superb Chalet Suites, all filled with sumptuous furnishings and elegant rugs. 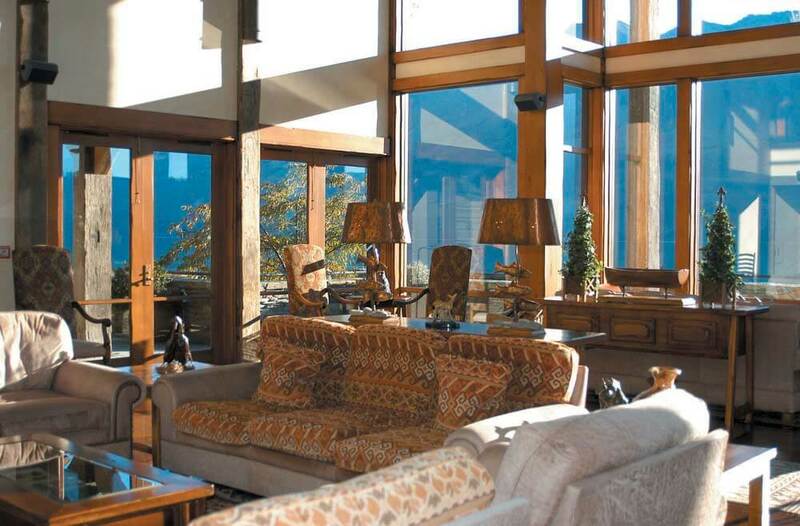 Natural materials are showcased throughout, echoing the lodge's interaction with the environment. 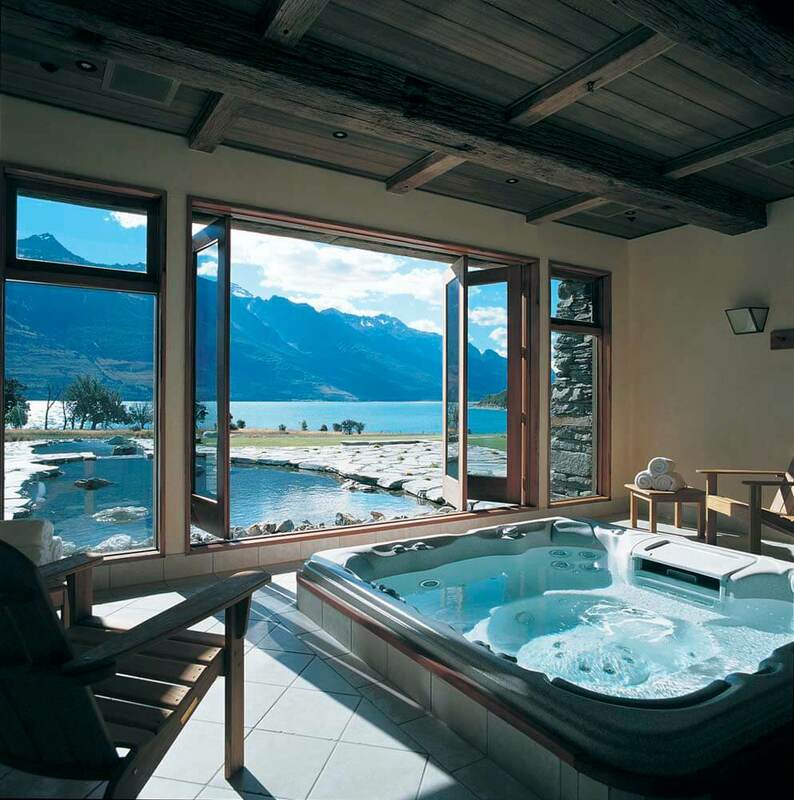 All rooms within the lodge are placed to take full advantage of the magnificent lake and mountain vistas. The lakeside Lodge Rooms each feature their own balcony or terrace, king size bed, armoire and ensuite bathrooms with granite topped double vanities, separate shower and a bathtub. Lodge Suites feature an additional sitting area with stone fireplace, large private terrace, walk-in closet and a bathroom with separate steam shower and a bathtub. 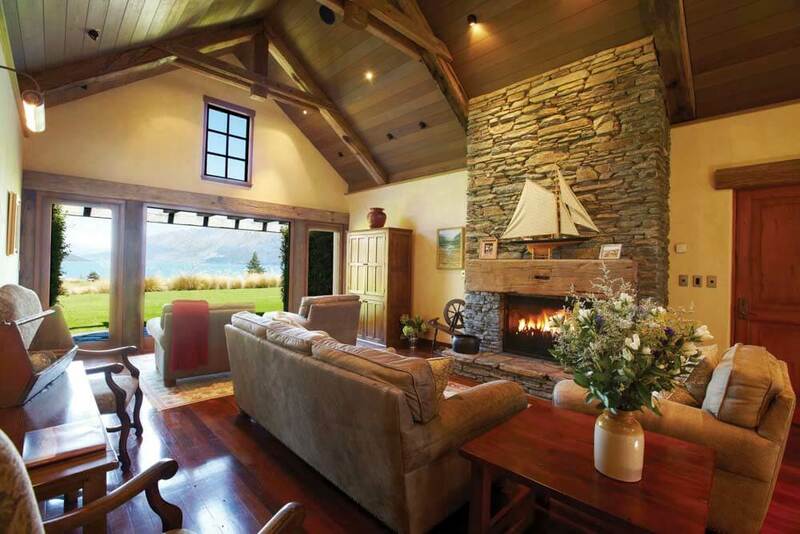 Chalet Suites reflect New Zealand colonial architecture and complement the main lodge with the use of schist stone and old steamer wharf timber beams. These suites have their own private courtyards. Each Chalet Suite can be combined with an additional spacious living room to create the Chalet Stateroom. Breakfast and lunch are served in the comfortable and spacious Breakfast Dining Room which has lake-views and a stone fireplace. In the evening, dinner is served at individual tables in front of the fire in the Evening Dining Room, on the outdoor terrace or for a more intimate occasion in the secluded Wine Cave. Wherever you choose to dine, you will savour the intense, sun-ripened flavours of Pacific Rim cuisine.